PhD 2002 Fudan University (Biodiversity conservation, Botany major). MSc 1992 Kunming Inst. of Botany (Biodiversity conservation, Botany major). 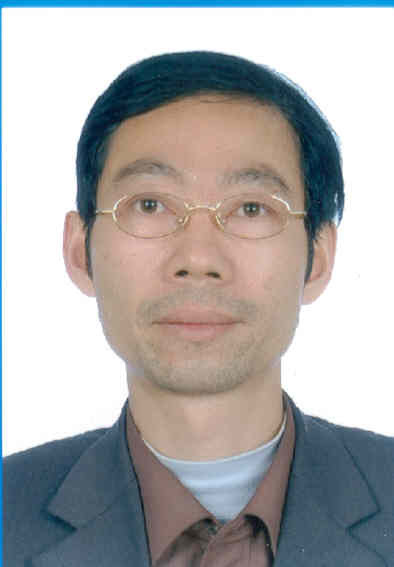 He, together with his colleagues, was awarded the Third Prize of “Yunnan Scientific and Progress Award” in 1992 for “Endangered plant investigation, collection and ex-situ conservation”, and the Second Pize of “Natural Science Award of CAS” in 1999 for “Principle and methodology of endangered plant ex-situ conservation”. Shao YT, Yin SH, Wang ZJ: Desiccation tolerance and cryopreservation of Archontophoenix alexandrae excised embryos at different developmental stages. Seed Science and Technology 2009, 37(1):147-160. Liu Q, Yin SH, Huang W, Yin JT: Phalaenopsis lobbii (Rchb. f.) H. R. Sweet, a new record of Orchidaceae from Yunnan, China. Acta Phytotaxonomica Sinica 2007, 45(6):855-856. Lan QY, Jiang XC, Song SQ, Lei YB, Yin SH: Changes in germinability and desiccation-sensitivity of recalcitrant Hopea hainanensis Merr. et Chun seeds during development. Seed Science and Technology 2007, 35(1):21-31. Zhao Y, Song SQ, Yin SH: Difference of behavior of germination and growth of two types of Suaeda salsa seeds. Seed Science and Technology 2004, 32(3):739-748. Yang QH, Yin SH, Song SQ, Ye WH: Development of desiccation tolerance and germination physiology of Crotalaria pallida Ait. seeds. Seed Science and Technology 2004, 32(1):99-111. Wu CJ, Cheng ZQ, Huang XQ, Yin SH, Cao KM, Sun CR: Genetic diversity among and within populations of Oryza granulata from Yunnan of China revealed by RAPD and ISSR markers: implications for conservation of the endangered species. Plant Science 2004, 167(1):35-42. — Seed germination ecology and storage physiology of Dipterocarpaceae species in Yunnan. CAS Bio-Tech Special Support Proj. 1998-2000.